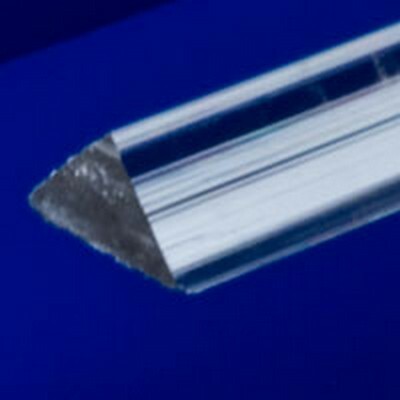 3/4" Acrylic Triangle Rod | U.S. Plastic Corp.
Be creative with clear extruded acrylic shapes. They are great for do-it-yourself projects. UV stabilized. It has a max temp of 180°F. Rod is not equilateral, 2-sides measure 3/4" and the other 1.0605". Priced per foot, sold in 6' sections only.